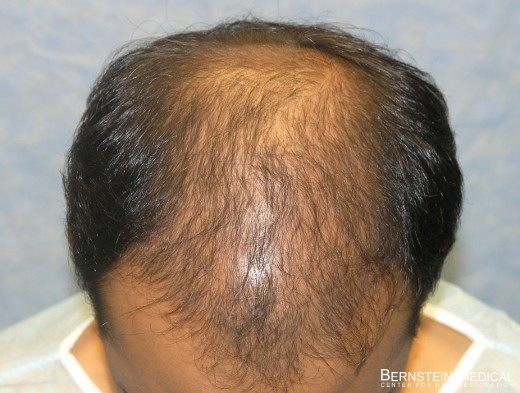 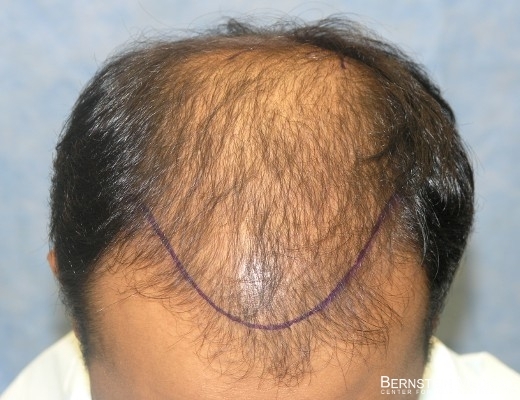 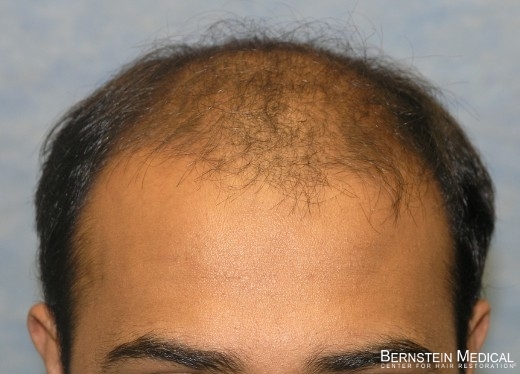 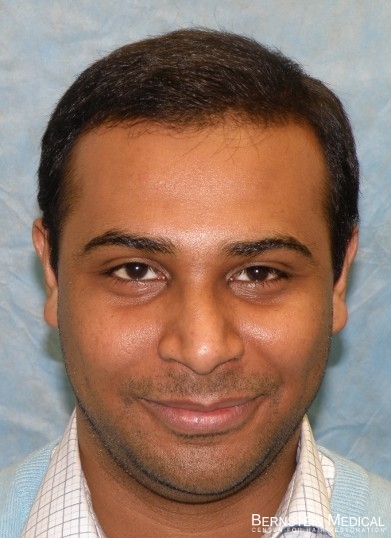 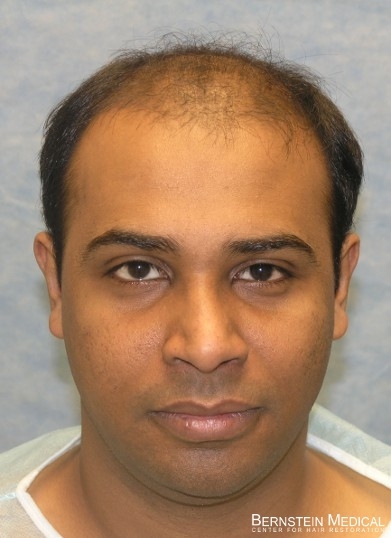 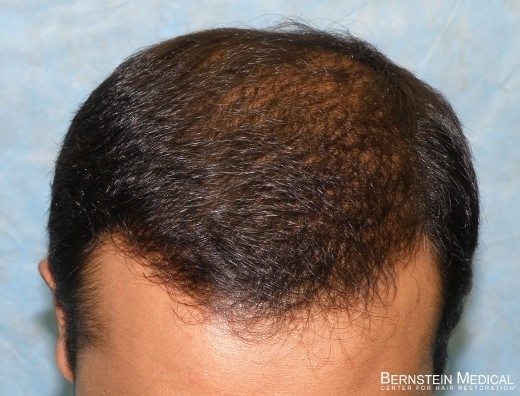 Bernstein Medical - Center for Hair Restoration Patient UAR is a Norwood Class 6 with slightly wavy, black hair and a donor density of 1.5 hairs/mm2. 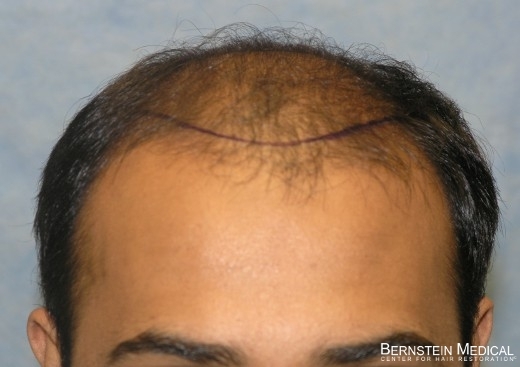 He had one hair transplant consisting of 2,336 follicular unit grafts. 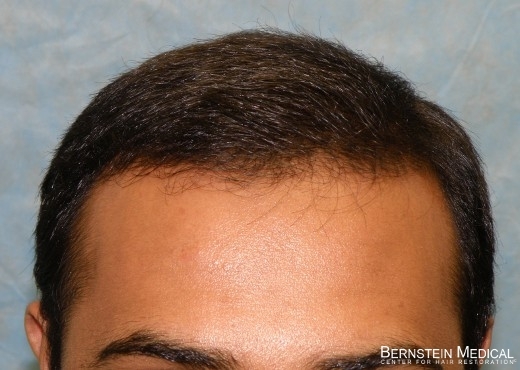 Photos were taken before and then one year after the hair restoration.